OF COURSE I BELIEVE IN LOVE AT FIRST SIGHT. I'M A MOTHER. 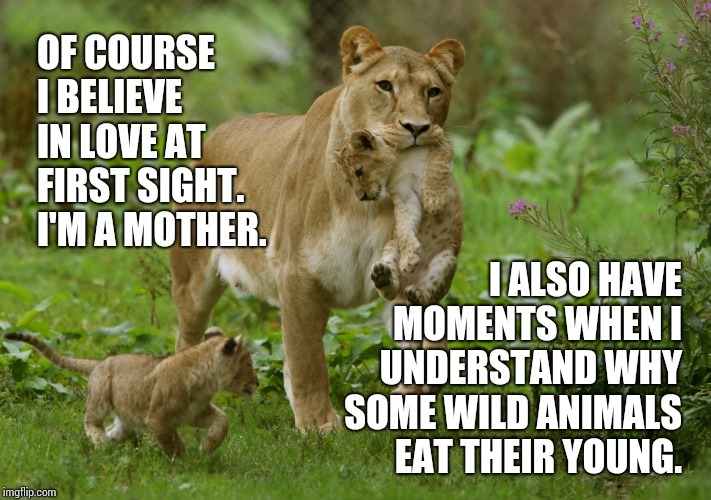 I ALSO HAVE MOMENTS WHEN I UNDERSTAND WHY SOME WILD ANIMALS EAT THEIR YOUNG.